Back in the 1970s, NAD introduced the original 3020 — a simple integrated amplifier that outperformed bigger, more expensive amplifiers with its smooth tone and big, detailed sound — something of a game-changer for music lovers of the day. In 2013, NAD introduced the D 3020, which proved as popular as the original among audiophiles of the digital age. The D 3020 V2 is the latest NAD integrated amplifier to build on the original 3020 concept. With the D 3020 V2, NAD has refined the looks of the original D 3020, and added a phono input for vinyl playback. Just like its predecessor, the V2 is outfitted with a high-quality digital-to-analog converter capable of high-resolution playback. 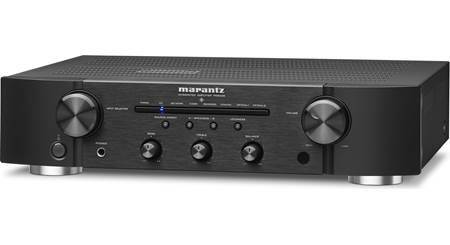 So this amp is ready for CD and Blu-ray players, network streaming devices, and more. If you think 30 watts doesn't sound like much power, don't be fooled. Not all watts are created equal, and NAD has a long history of designing integrated amps that sound far bigger than their specs might lead you to believe. Highly efficient, this little amp is perfect for powering a pair of bookshelf speakers while delivering warm, detailed sound from digital and analog sources. Need to fill out the bottom end? Connect a powered sub to the D 3020 V2's subwoofer preamp output. This isn't your everyday rack-style component. The compact and streamlined D 3020 V2 can stand on its side for placement on a desktop or shelf. Or lay it down flat in your cabinet or rack. You won't find a lot of unnecessary buttons cluttering this amp's front panel. Just an extra-large volume knob and a button for toggling between sources. The display shows which source is selected, as well as the volume level. What more do you need? Maybe Bluetooth? You got it. 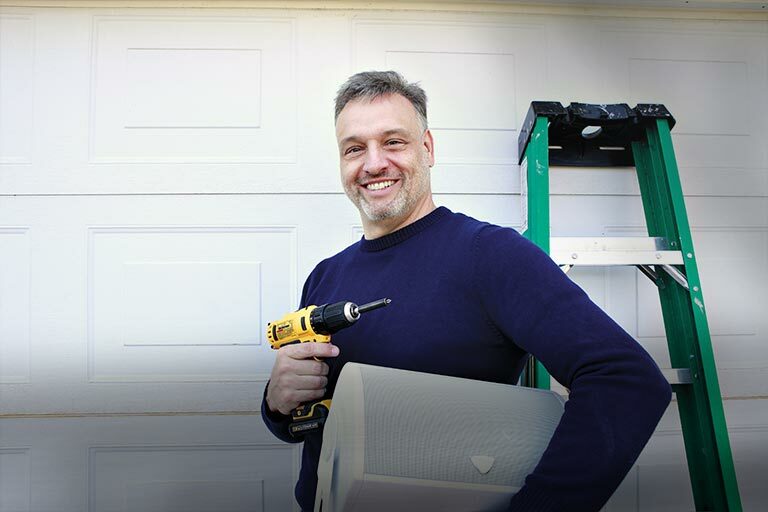 Stream tunes wirelessly from your smartphone, tablet, or computer for convenient playback. Does this model work well streaming from an iphone via itunes or spotify? Yes, because this model includes aptX Bluetooth, you can select your music source on your smartphone and stream to the 3020 V2. 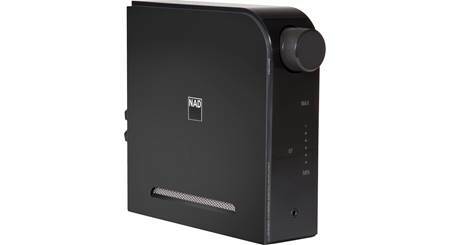 Hybrid Digital Amplifier: The NAD D 3020 V2 is a hybrid digital amplifier which incorporates NAD's PowerDrive and Soft Clipping technology for dynamic power, low distortion and noise, and minimal power consumption. Even at 30 watts x 2 channel, the D 3020 V2 has the ability to drive "power hungry" and low-impedance loudspeakers to satisfying levels without adding noise or distortion. NAD PowerDrive Circuit: The D 3020 V2 use NAD's proprietary PowerDrive amplifier technology that provides high dynamic power and low impedance drive capability. This uniquely efficient power supply topology provides the real world benefits of high dynamic power that remains uncompromised by low impedance speakers. NAD's Full Disclosure Power Ratings: NAD uses Full Disclosure Power (FDP), the most demanding criterion for performance measurement. FDP specifies distortion under the most extreme conditions of low impedance loads and frequency extremes, rather than the simple and easy 1kHz @ 8 ohms test quoted by many of other manufactures. NAD uses this stricter performance criterion because it more closely matches the demands of real music and real loudspeakers. Maintaining specified distortion at 4 ohms and at 20Hz to 20kHz is a much more difficult achievement. 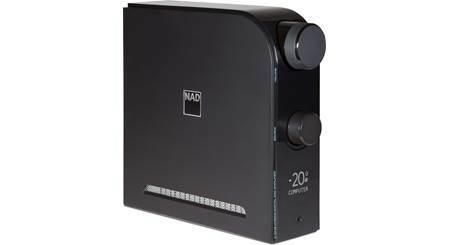 The NAD D 3020 V2 is rated at 30 watts x 2 channel (@ 20-20kHz, in 8-ohms, with 0.1% THD). Note: The D 3020 V2's highly efficient design wastes less energy resulting in cooler running and longer life; standby power consumption is <0.5W. Bass EQ Circuit: An innovative Bass EQ circuit helps small speakers sound bigger without overdriving or damaging drivers. 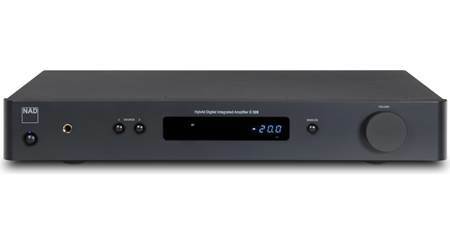 24-Bit/192kHz DAC: The NAD D 3020 V2 hybrid digital amplifier incorporates an excellent quality 24-bit/192kHz DAC with 8 channels mixed to 2 channels for playback of your high-resolution digital music. 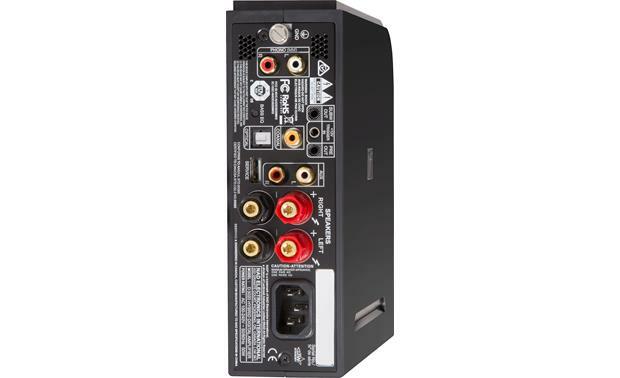 Digital Optical/Coaxial Inputs: The NAD D3020 V2 is fitted with one digital coaxial (RCA) input and one optical (toslink) digital input for connection of your digital audio sources like CD and DVD players, satellite/cable boxes, or Apple TV. The unit will accept 2-channel PCM audio signals from the Optical or Coaxial inputs (not compatible with Dolby Digital or DTS). Dual Analog Inputs (including Phono MM): The D3020 V2 offers two analog stereo RCA inputs, including one a line-level stereo RCA input and one Phono (MM) stereo RCA input. The stereo RCA line-level input can be used to connect a CD player or AM/FM tuner. The Phono (MM) input is used to connect a turntable with a moving magnet cartridge. The Phono stage includes highly accurate RIAA equalization, an Infrasonic Warp Filter, and features both high overload margins and extremely low noise. Bluetooth Audio Streaming w/ aptX: The NAD D 3020 V2 offers built-in Bluetooth aptX technology. Via Bluetooth, you can wirelessly stream music from your smartphone (including iPhone & Android), tablet (including iPad & Android), or laptop (including Windows & Mac) to the hybrid digital amplifier. The D 3020 V2 even supports aptX audio coding which delivers CD-quality sound wirelessly over Bluetooth for aptX compatible source devices (like Android and Macbook). Play/Pause and Previous/Next Track functions can be controlled from the included IR remote. 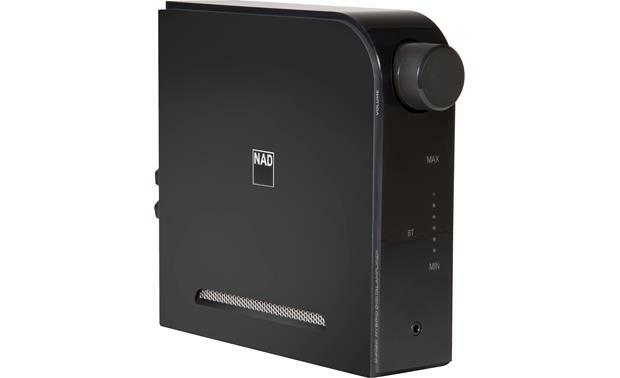 Binding Post Speaker Terminals: The NAD D 3020 V2 hybrid digital amplifier is equipped with four binding post terminals to connect your loudspeakers (4 or 8 ohm). The binding post speaker terminals will accept bare wire (up to 10AWG), banana plugs (single only), pin-connectors, and spade-connectors. Plastic caps inside the binding posts must be removed to use banana plugs. Sub Out & Pre-Out: The NAD hybrid digital amplifier features a mono minijack (3.5mm) subwoofer output for connecting an external powered subwoofer to your system. The sub output is equipped with a 100Hz low-pass crossover. Since most powered subs feature an RCA input, the D 3020 V2 comes with a minijack-to-RCA adapter. There is also stereo minijack (3.5mm) pre-out for "daisy-chaining" an additional amplifier (a stereo minijack-to-RCA adapter will be required - sold separately). Headphone Amp: The D 3020 V2 features an integrated headphone amp with a 3.5mm headphone output jack to connect a pair of headphones for private listening. A specially designed low noise headphone circuitry accommodates a wide range of headphones, even 600-ohm studio models. Once headphones are connected to the D 3020 V2, your connected speakers will be turned off. IR Remote w/ TV Connect: The NAD D 3020 V2 comes with an IR remote for wireless operation of the hybrid digital amplifier. You can turn the amplifier on/off, raise/lower volume, and switch sources from the remote. The playback controls on the remote are for Bluetooth audio streaming only. The TV Connect features enables the D 3020 V2 to learn the mute and volume control commands from practically any TV remote control. Additionally, the D 3020 will automatically power up to the Optical input source upon detection of a digital TV output signal. +12V Trigger Input: The +12V trigger input (3.5mm) lets you turn on/off the D 3020 V2 from another device with a +12V trigger output. Vertical or Horizontal Mounting: The NAD D 3020 V2 can be installed vertically or horizontally. Four self-adhesive rubber feet are included. Auto Standby & Auto Sense: The D 3020 V2 can be setup to automatically go to standby mode if there is no user interface interaction and no active source input for approximately 30 minutes. The Auto Sense feature enables the D 3020 V2 to wake up from standby mode and starts operation by selecting the Optical source input or the last digital source input before going to standby mode. This unit can produce a lot more fidelity when it is given other digital inputs that support more bandwidth. The Bluetooth sounds about as good as Bluetooth gets on this unit. It has good range and is easy to pair - but I sometimes find that my iPhone has connected with this unit because I walked into the kitchen and got too close to this device. I would prefer to have to go into my Bluetooth settings on my iPhone and request it to connect instead of it automatically connecting when in range. It supports bluetooth so yes it can stream any music service. Honestly, my biggest complaint is that when you turn it on it looks to connect tot the last device so if that was your iPhone and now you are trying to connect your iPad it is wonky. Other than that the general biggest complaint is the volume knob. Yes - that's why I bought it. I have had it for a year and I listen mostly to spotify using chromecast audio - which streams at a higher rate than bluetooth - though bluetooth works fine, too.. I also have my turntable hooked up. I didn't want a huge receiver but still wanted a nice, rich sound and this does the trick. Yes. The NAD will stream all content from your iPhone via Bluetooth. Yes. It works extremely well streaming from the iPhone. Yes. I use everyday to stream from Spotify,Amazon and Youtube. Never used it with iTunes. Good sound quality. It's a great little amp. Bluetooth works very well and connects quickly to your device. Sound quality is impressive. What's the difference between the v1? Just Phono and Pre-out? Is everything else the same? The NAD website says it has 40 W per channel, not 30W like in your description. Which one is accurate? Searches related to the NAD D 3020 V2 Stereo integrated amplifier with built-in DAC and Bluetooth®.